Still hot, still dry. Recent storms have delivered 45mm, but this rain has simply greened the grass and temporarily added humidity to the weather mix. This moisture will quickly drop down the soil profile, as there is no sub-soil moisture to hold it up. The monsoon finally established over northern Australia about 2 weeks ago, so prospects of continuing moisture events have improved in the short term. It has been a long, hot summer and we, and nature, are exhausted by the relentless demands of the sun. Daytime temperatures are in the mid thirties. Night temperatures are in the high teens to low twenties. Despite what has been said about the ambient climate, these hot and dry conditions are ideal for growing plants, provided there is sufficient water available. Usually at this time of year we implement practices to ameliorate the overwhelming humidity. It is much easier to add water to the nursery than to offset the effects of wet soil and air heavy with moisture. 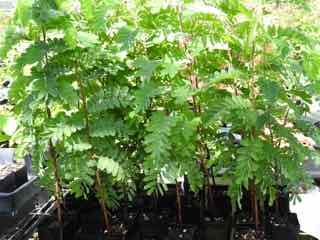 Species enjoying this summer include Meadowsweet, Acerola Cherry, Aloe Candelabra, Damiana, Costmary, Rangoon Creeper and Samphire. Recently returning to stock are Kava, Allspice, Ayahuasca, Chacruna, Pandan, Thai Coriander, Drumstick Tree, Tamarind, Chocolate Tree and Toothache Plant. Cinnamon; plants are slow and will not be ready for this season – will carry stock over to next spring. Looking particularly good at present are Ginger, Turmeric, Galangal, Coffee, Vanilla, Chicory, Yerba Mate and Kenchur. Seed sowing is underway. Species selected will not dampen off in the warm seasonal conditions. Species sown include; Agrimony, Andrographis, Dandelion, Japanese Indigo, Epazote, Sweet Annie, Pyrethrum, Golden Rod, Thai Coriander and Woad. As the night temperatures cool, we will sow Dong Quai, Herb Robert, Valerian, Cardoon, Queen Annes Lace, Borage and Chickweed. Collected seed from Ashwaganda, this week. Seed will be roughly cleaned and sown in community trays. This Ashwaganda is the Vedic form. Seed species returning to stock include Golden Rod, Bloodroot (bulk seed now available), Siberian Motherwort, Japanese Indigo, Caraway, Cowslip and Burning Bush. Plants propagated during the last few weeks include; Calea, St Johns Wort, Patchouli, Sambung, Vetiver and Bergamot. The action of this herbicide is not systemic but contact, burning off the plant foliage rather than killing the root. This desiccation process is supposed to also kill the weed root, but will need to wait a couple more weeks to confirm. A uniform spray coverage of the foliage is required and results are very quick. The product is inert, except when in contact with the leaf surface. 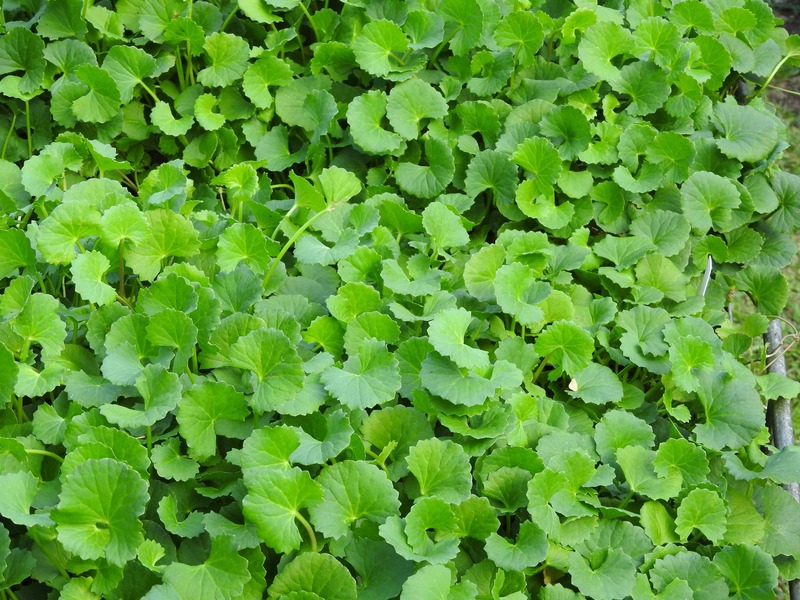 This makes it the ideal herbicide for paths and courtyards. Batches of finch fledging learning to fly and staying close to hedgerows – always makes me smile. Sydney Waxbills and Double Bars. Some Zebra Finches in the shade house the other day. Have not seen these on the farm for about 10 years. Wrens made a brief appearance, for a week, at the beginning of February. Wonga Pigeons are nesting in the Leopard Tree. Wompoo Pigeons have changed nesting tree from the Rubber Tree on the driveway to the Liquidamber beside the house. Turtleneck Doves patrol the driveway and car park in increasing numbers. Emerald Wing Pigeons have taken residence on an open section of the access road. 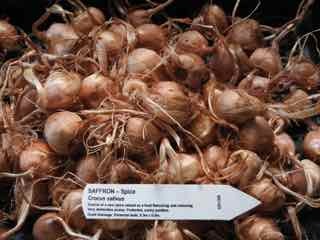 ● Saffron corms, sow before end of March . Hot and dry conditions prevail. It has been a long time between drinks and the ground is parched – no real rain since the beginning of December. The prolonged dry has depleted the sub soil of moisture and the softer grass species have begun to cure. These conditions look set to continue for at least the next week and may be to the second part of February. Daytime temperatures are currently in the mid-thirties, nights are in the low twenties. The warm climate plants really crackle in these conditions. Galangal, Ginger and Turmeric are going off. The same for Indigo, Neem. Gotu Kola, Myrobalan, Vanilla and Liquorice. Plants returning to stock over the previous month include Galanagal, Vegetable Pepper, Betel Pepper, Costmary, Calea, Japanese Honeysuckle, Japanese Indigo, Boneset, Hop, Myrobalan, Barberry, Vanilla, Samphire, Bael and Liquorice. Rangoon Creeper returns to our list. Demand for this ornamental species reduced about 10 years ago, but enquiry is now on the increase. Betel Pepper / Vegetable Pepper: this is an attempt to clarify the confusion caused by these common names. When in doubt as to the actual plant a common name describes, look to the botanical name for clarification. If you are looking for the plant that produces leaves for wrapping food, the species is Piper sarmentosum. 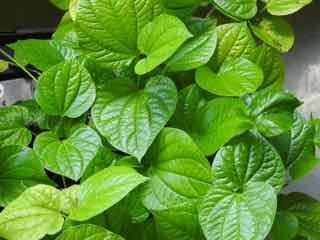 If you are looking for the plant whose leaf is used ceremonially and to wrap Betel nuts and lime to produce quid, then the species is Piper Betel. Kava and Cinnamon are slow to be ready this season. Looking like the end of February, at this time. Those on the Wait List will receive email notification of return to stock. Too warm in our locality to sow seed at this time of year. We are preparing for the cold, moist stratification of some cold climate species. The seed to be conditioned by this method includes Schisandra, Sweet Cicely, Ramsons, Tasmanian Pepper and Turkey Rhubarb. Fresh seed of Golden Seal should be available in the next week or so. Star Anise seed will soon be available all year. Trialling storage methods. Will keep you advised. Seed returning to stock over the Christmas break include Costmary, Ladies Mantle, Madder, St Marys Thistle, Agrimony, Bo-Tree, Skullcap. Baikal Skullcap, Dong Quai, Golden Rod and Saffron corms. New species added to seed list are Citronella Balm, Coffee Chicory and Chinese Woad. February is generally a good month in all areas of Australia to propagate by cutting. We will be cutting Chaste Tree, Mother of Herb. Henna, Cows Udder, American Elderberry and Sambung. Freshwater tortoise laid eggs in stock garden, about 20m from creek. Previously only seen sheltering on high ground, out of creek, during large wet season fresh. Lots of parrots about, most notable (noisy) are the Rainbow Lorikeets, from the coast, here for the flower nectar. Currently in flower are the Leopard Tree, Mimosa, Brazilian Cherry, White Cedar and Native Frangipani.